FSA Logistix specializes in last mile logistics for a wide range of American businesses. This includes national retailers, manufacturers, eTailers, healthcare businesses, and third party logistics companies that want FSA Logistix to manage their last mile delivery contracts. For example, leading national retailers count on FSA Logistix to design and deliver world-class final mile solutions and services to their retail customers nationwide. FSA Logistix leadership and front line service teams understand their vital role in maintaining brand integrity during each final mile delivery. The ‘last mile’ of the supply chain is the most vital link in completing the logistical challenges for retailers and makes the most powerful impression on consumers. When done correctly the odds favor high levels of customer satisfaction and repeat business in the future. When it comes to product assembly and complex installations, FSA Logistix is a proven leader in quality on-time service. Leading American businesses trust FSA Logistix to get the job done right and right on time. 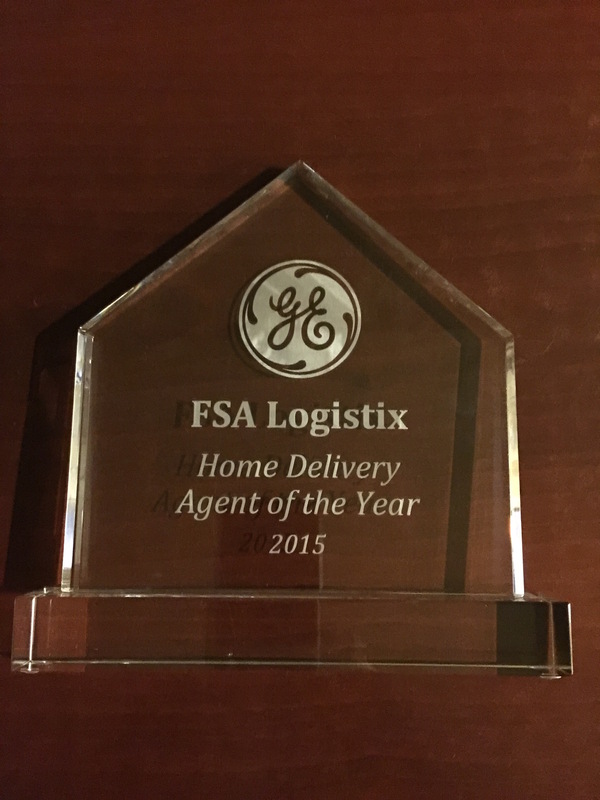 Steve Anderson, President of FSA Logistix announced that the company was recently recognized for outstanding service by GE, and awarded their “Home Delivery Agent of the Year” for 2015. “Even through we have been growing rapidly over the past year, we have maintained quality service standards at all levels in the organization. Our top notch management team has demonstrated to our valued Clients, like GE, that we can consistently deliver quality customer service at all our operations nationwide,” said Steve Anderson. 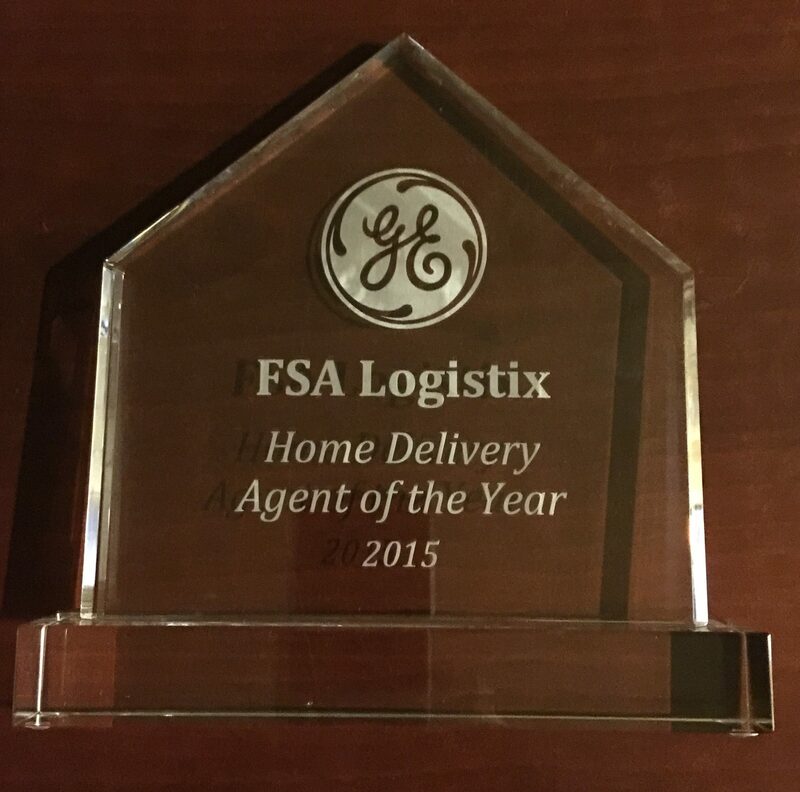 FSA Logistix is experiencing significant growth at operations from coast to coast. 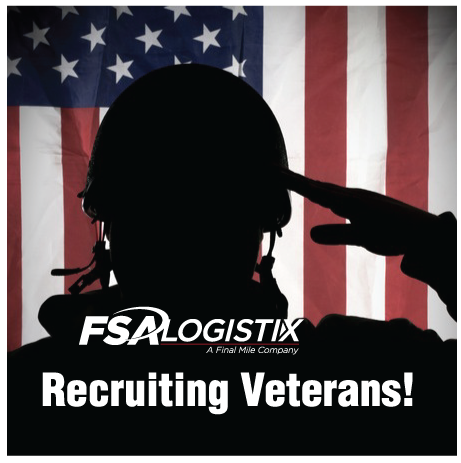 Company leadership is actively seeking US Veterans for management positions in their final mile logistics operations. 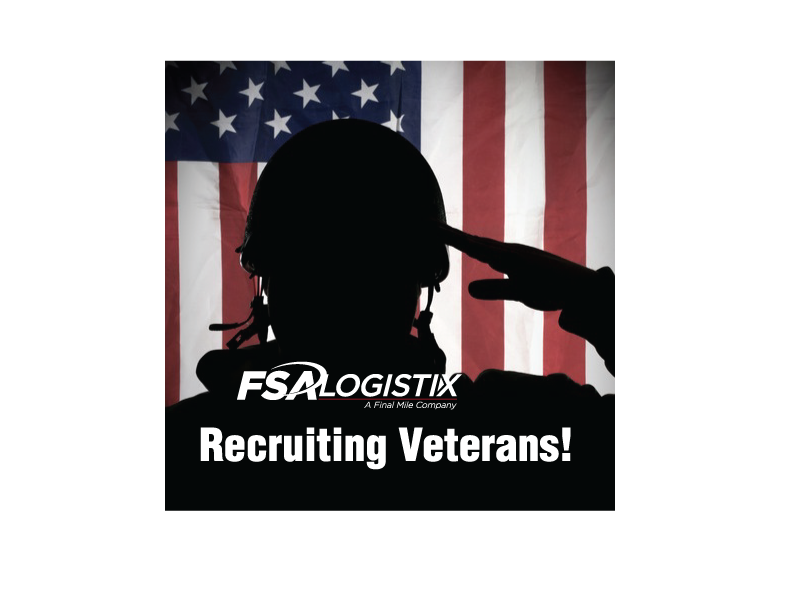 If you are veteran we would like to talk to you about opportunities at FSA Logistix.